Just a few lines to say how pleased I am that I finally found a Solicitor who is helpful, down to earth and easy to talk to, in other words human ! After a number of fractious experiences with other Solicitors I was feeling very stressed about my situation but you made things seem better straight away, by making me feel you were there help, almost like a knowledgable friend rather than the usual typeswho talk down to you ! Amazingly, we have finaly got things sorted, in a very short time, after over 2 years of dragging things out with other Solicitors……Phew ! I appreciate your kindness and proactive approach and if I hear of any other poor soul who is unfortunate enough to be starting divorce proceedings I will certainly recomend that they come straight to you ! I just wanted to thank you for all of your work – particularly for your tenacity. You have made divorce an almost humour0us experience at times ! Life is 100% better now than when i first came to see you. Thank you for all your help ! Thank you for all your help and support in getting me through this awful time! I would recomend you to anyone who needs a Family Lawyer. Cant sing your praises enough …. The Financial Dispute Resolution (FDR Hearing) comes after the First Appointment Hearing and before the Final Hearing. The purpose of the FDR Hearing is for a divorcing couple to try to settle their finances by agreement. At the FDR Hearing your legal representative puts forward your case and assists the Judge with any queries the Judge may have. You do not speak at the Hearing. After this the Judge gives an indication of how he or she might decide your case if this was your Final Hearing and you then leave the courtroom for negotiations. The Judge cannot then hear your Final Hearing. Between your First Appointment Hearing and your FDR Hearing your solicitor is likely to have a lot of work to do to ensure your case is ready for the FDR Hearing so that the Judge will be in a position to give an indication. In some cases there is little prospect of an agreement being reached for various reasons. Your case is unique and your solicitor is really the only person who can properly advise you on your case. My focus is simply on your role and what you can do to prepare. It is important that you respond promptly to any requests from your solicitor for information even if your FDR Hearing seems a long way off. The information may seem unnecessary or it may be difficult to secure but you need to respond as promptly as you can. There will be a good reason why you have been asked for the information. You can of course ask for the reason if you are not sure ! At the FDR Hearing you have a crucial role to play in terms of proposals that are made and settlement decisions as ultimately only you can make these. You need to be ‘thinking straight’. This can be difficult to achieve on the day when you may also be feeling stressed and it is worth considering what might help you with this.in advance of the FDR Hearing and prepare yourself accordingly. It is sensible to keep your diary clear for the FDR Hearing. If you have an appointment or perhaps children to collect then, if negotiations are protracted, you may find it stressful if time seems to be running out. Negotiations are usually protracted when there is a real prospect of agreement so in these circumstances it can be worth staying longer at Court than may have been planned for. It is not a sign of dependency or weakness to bring someone to be with you outside the courtroom. You may have to make a decision on an agreement fairly quickly in comparison to the time you will spend afterwards living with it. It is highly unlikely you will later be able to change your mind about any agreement you reach and you may find it comforting therefore to be able to consult with someone who knows you well and whose judgement you trust generally in life. The right person can also play a useful role if you feel stressed providing they are a calming influence of course ! Your mobile may be useful. If you are on the brink of making a final decision you may want to call a friend or relative to discuss this, particularly if you have come on your own. Your mobile may also prove useful as there can be lengthy periods of time when you may be on your own in a bare room when your legal representative is off negotiating on your behalf. The decisions you face at the FDR Hearing invariably involve figures and you may find it useful to have a pen, paper and a calculator with you if you wish to check figures or do your own calculations. If you reach an agreement it is likely that you will both have had to make compromises to reach the agreement and both of you may feel you could have done better. You are unlikely to feel ecstatic but hopefully you will at least feel some sense of relief. You may wonder how on earth you got this far and question why you did not reach an agreement long before. You may feel a bit sad. This is all normal. In addition, it is worth bearing in mind that you may well feel the same after the next Hearing, the Final Hearing, when a Judge has decided your financial settlement for you and when your costs would be significantly higher. Divorce & matrimonial financial settlement. Susan recently represented me through my divorce & matrimonial financial settlement. When I embarked on this journey I had no idea how lengthy the whole process could be, nor did I realise the scale of the immense emotional & physical stress that is endured. I couldn’t have got through this particularly difficult time without the support that I received from Susan. She understands that divorce is an emotional as well as a legal process & was very supportive. I found Susan empathised & identified with my own set of circumstances. Susan provided a professional friendly & factual service. She has a sensible & pragmatic approach. I felt very comfortable in her company & confident in her abilities. I would thoroughly recommend Susan Jubb Family Law to anyone needing assistance with family law. To Blog or not to Blog. That is the question ? I am told that blogging increases rankings on Google which is apparently all important in these click and go cyber times. I have also been provided with a blog page to fill which has been called ‘Susan’s thoughts’. Clever! If I do not blog it looks like I have no thoughts. Not impressive in my line of work. So I have two choices. I could simply change the title of the page or I could try blogging. What to blog about? What have I got to say that might be interesting or helpful? What I write surely has to be my personal take on something. There is a mass of factual information on the internet already and much of it is good. What’s the point of simply repeating that ? I will soon be bored and the blog will come to a halt with no doubt an attendant drop in the apparently all important Google rankings. It also seems disingenuous to just cut and paste without putting some effort in. My specialism is family law so I have an obvious subject matter. I am also blogging on my website which is designed to give people going through relationship breakdown an idea of what instructing my firm means in terms of the work we do and the service we offer. So, having given the question of blogging some thought and moaned a bit about the whole blogging thing I have decided that I shall apply my thoughts to random aspects of family law and possibly some other matters that those going through relationship breakdown might just find interesting. I shall welcome feedback as this might help with inspiration and subject matter although too much negative feedback might just bring a sharp retort and a swift end to the whole blogging process. Or maybe not ! We divorce lawyers need a rhino hide or we wouldn’t last long in the job. I recall a colleague being referred to in correspondence as a human pig on legs by the party on the other side of a case. I was rather jealous at the time as an indicator of a good job being done in a contentious case can often be judged by the level of insult coming from an unrepresented party on the other side! Or, just sometimes, from the vitriol of the instructed solicitor. I digress already. Perhaps I might enjoy this blogging. Time will tell I expect but for now I shall be making a diary note to write and trying to work out when I might actually fit it in to my already busy working life. 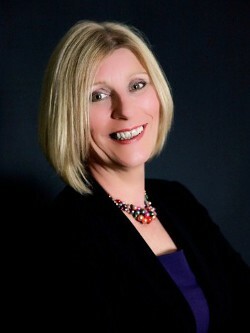 A friend recommended I use Susan Jubb of www.sjfl.co.uk for my divorce, so I switched from my previous solicitor. I was never disappointed or regretted this decision, In Fact It was the best decision I made ! Susan is straight talking, factual, and gives you an objective opinion from all angles for you to consider before making a decision, something that I found priceless whilst going through the emotional roller coaster of a painful messy divorce. She kept me focused and grounded, yet was immensely sensitive and compassionate to my feelings, no matter how irrational they became! Susan was always available to speak to, and her strong commitment made me feel like she really understood me and genuinely cared. I had no hesitations in asking any questions and my confidence in her was quickly established. Susan accompanied me to Court and i could not have asked for better support with me on that day. Her contacts ensured my barrister was excellent in arguing my case, approachable and friendly. After care was just as excellent, Susan helped me to sort out my mortgage and life insurance through her contacts, and continually kept in touch to ensure i was doing OK or if there was any further help i needed to establish myself again. Susan not only guided me through the legal minefield and completed my divorce, she also, through our conversations, helped me to realize that there was going to be a final end to this emotional roller coaster and my life was going to start a new exciting chapter, to embrace it and smile and laugh again! Should you ever need the Services of a family Solicitor then I have no hesitation in recommending Susan Jubb Family law Ltd.
Great service, very friendly and very professional. Will take the worries away.